The Association is an international professional organization dedicated to combating all forms of fraud. 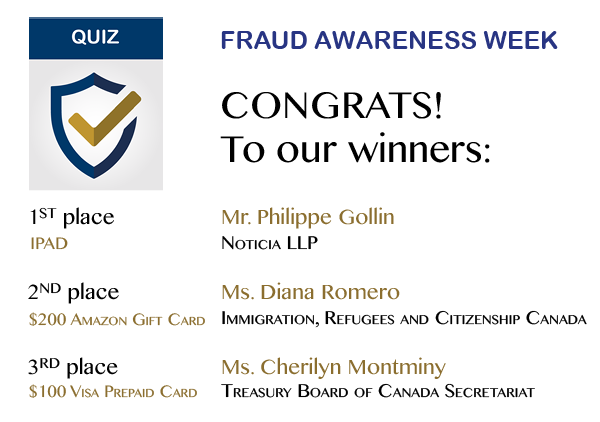 Formed in 1992, the Ottawa Chapter is a non-profit organization, which promotes fraud education in the Ottawa area through various seminars, conferences and workshops as well as enabling professional networking opportunities for its members. 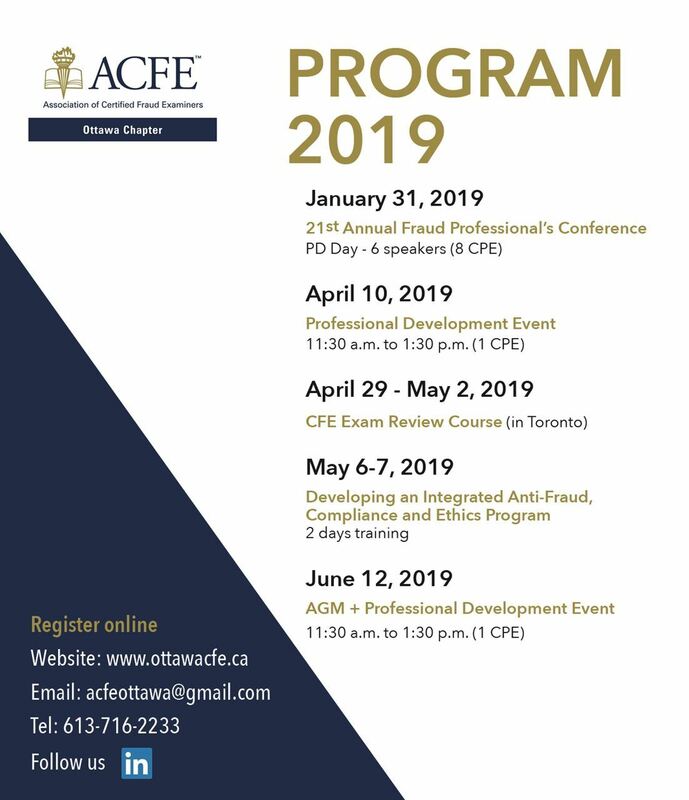 Among the numerous benefits of membership in the Ottawa Chapter of the Association of Certified Fraud Examiners is the opportunity to meet regularly with other professionals in the field of fraud investigation and prevention. These members come from various law enforcement agencies, investigative services, internal audit, accounting firms and other related professions. Interested in getting your CFE designation? If you have a topic in mind you would like to see presented at an upcoming event? Please let us know, we want to hear from you acfeottawa@gmail.com. Our attendees are from the investigation/security/internal audit community in both the public and private sectors.